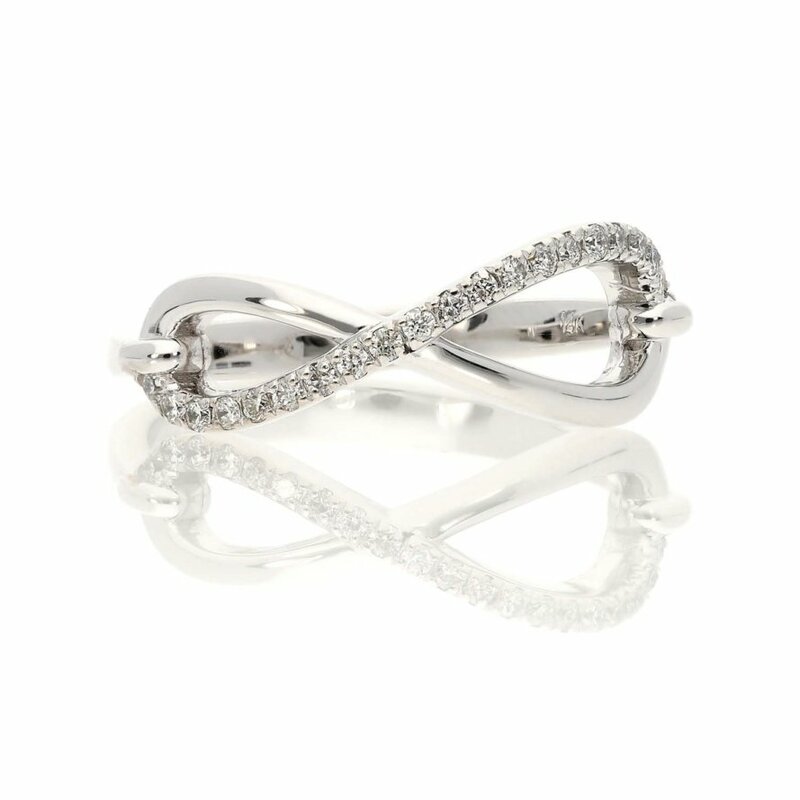 Loving this infinity modern diamond and white gold fashion ring. I would wear this on my middle finger on my right hand, so I’ll take a size 7 for myself! This ring features 20 round diamonds at 0.14ctw set in 14K white gold.